This pet has both poison and fire abilities, very fitting considering Acidmaw and Dreadscale fight. 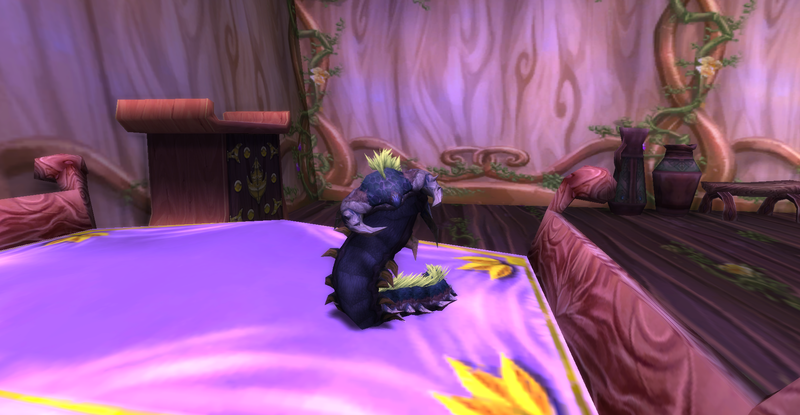 After obtaining this wormy pet, I summoned him and noticed that Dreadmaw's coloring was different then what is in the Pet Journal. I dismissed and re-summoned Dreadmaw several times and it appears as if this pet can be one of two different colors. Either Acidmaw's green coloring or Dreadcale's purple. Not sure if this was intended or a glitch? I'm hoping for this to be intentional. I also love how this little cutie burrows. If you decide to move while he is underground, you will see a little shadow following you until he resurfaces. Likes to burrow underground then resurface after a while. Cute and has great damage over time capabilities. 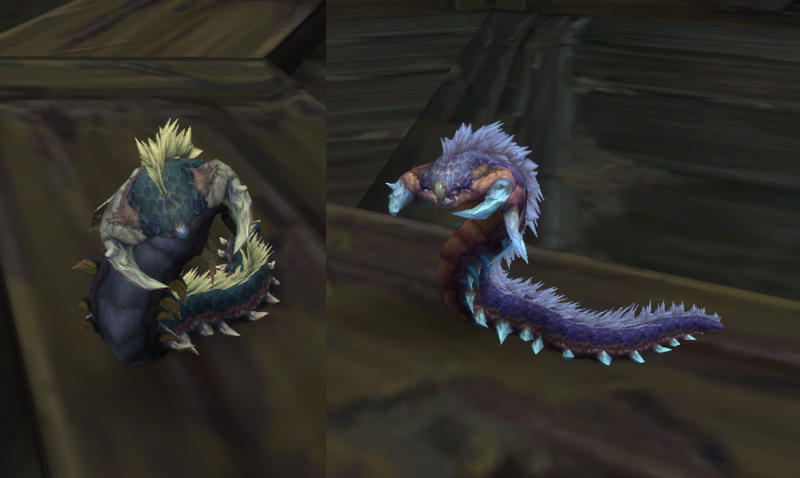 This pet can drop from the boss duo Acidmaw & Dreadscale in the 10 or 25 man raid instance of Trial of The Crusader, located in the Argent Tournament grounds in Northern. Funfact! I have two of these and they are in different colors. One has a brownish theme, the other is blue. 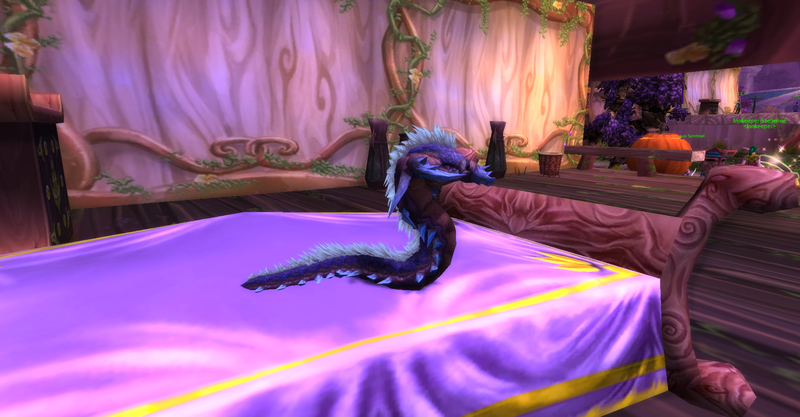 This is one of the pets you need for the new Raiding with Leashes IV: Wrath of the Lick King achieve. I just bought this pet from the AH just to see if it counted towards the achieve and it does. Глубоко под ристалищем Серебряного турнира были найдены кладки яиц, принадлежащих Кислотной Утробе и Жуткой Чешуе.